The FCC proposed a more than $200,000 penalty against Aura Holdings of Wisconsin, Inc. for apparently not being honest about the true owner of several towers. Aura apparently submitted false and misleading information in 10 different change in ownership applications using the Commission’s Antenna Structure Registration (ASR) system, according to the FCC. Aura is a privately-owned holding company, incorporated in 2016; it also apparently made a false statement to a Commission employee, claiming the company owned a tower that it did not own, according to the agency. Tower owners must register with the FCC, any tower subject to the FAA’s notification requirements because of the structure’s potential danger to air navigation. Specifically, any new tower built over 200 feet in height above ground level must be registered. In December 2016, a pilot complained to the Commission’s Operations Center about an unlit tower, ASR 1200329, in Footville, WI. The Operations Center couldn’t reach the listed owner, Puri, LLC, and contacted the FAA. The FAA then issued a Notice to Airmen, warning pilots of the hazard. The Ops Center forwarded the pilot’s complaint to the Chicago Field Office of the Commission’s Enforcement Bureau, which initiated an investigation. The bureau field agent also tried unsuccessfully to contact Puri. The field agent also went to the tower site and verified that neither the daytime nor the nighttime lights were operational. In January 2017, when the agent accessed the ASR system again, the ownership information on the Footville tower had been changed, showing Aura as the owner and William Nix as the CEO and point of contact. The field agent contacted Nix, who knew about the lighting outage; he said it couldn’t be fixed until weather permitted technicians to safely climb the tower. Twice in March and again in May, the agent contacted Nix for an update. Nix’s email stated the tower work was underway and Aura would take steps to have the NOTAM cleared by July, 2017. But that April, the Wireless Telecommunications Bureau received a complaint from tower owner Subcarrier Communications, complaining that ownership information for 41 towers had been improperly changed in the ASR system to reflect Aura’s federal registration number. The Wireless bureau told the field agent, Aura did not own the Footville tower, but Subcarrier did. The agent spoke with the Subcarrier CEO, who alleged that, in addition to changing the ownership information for several of its towers, Nix changed the locks and stole equipment from those towers. Subcarrier bought new equipment to repair the lights on the Footville tower, but Nix stole that, causing the lights to remain out, the Subcarrier CEO told the FCC. The FCC found that Aura filed 42 change in ownership applications for towers the company apparently did not own, despite certifying it did. The FCC received information from the FAA about Aura filing for six requests for no-hazard studies. Half of the requests were for towers that Aura didn’t own, according to the Commission. In May 2017, Aura filed an ASR application with the FCC for construction of a new tower, 213-feet AGL in Ft. Lauderdale, FL. The FCC’s Spectrum Enforcement Division contacted Nix about the veracity of information provided to the Enforcement Bureau regarding the Footville tower and concerning the ownership of the 42 towers in the ASR system. Aura was required to respond by October 24, 2017. As of yesterday, Aura has not responded, according to the agency. Aura’s action delayed the FCC’s ability to find the true owners of the towers and the repair of the Footville tower, said the FCC in its decision. 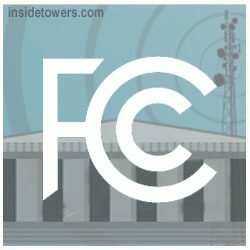 The false information wasted both FCC and FAA resources; the agency believes the statutory maximum is warranted for Aura’s “apparently willful and repeated violations.” That’s why it proposed a $216,029 base forfeiture for the 11 instances in which Aura provided false and misleading information to the Commission. The balance was for not responding to the agency, which “exhibits contempt for the Commission’s authority,” it said. The FCC directed Aura to submit within 30 days, full responses to all outstanding requests for information. Aura also has 30 days to appeal, or pay the full $235,668 fine. NextApril 9 Was World IoT Day: Cheers to Smart Cities Everywhere!